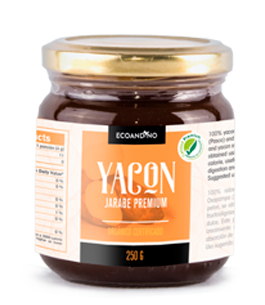 Yacon is a large perennial plant that is mainly grown and cultivated for its tuberous roots. The roots are crunchy and sweet, it has lots of benefits, such as weight and glucose control and FOS. This superfood has been cultivated since 1200 B.C and still used by Andean people as a natural sweetener and is currently recognized to be one of the best superfoods. We have many presentations of this superfood: raw yacon powder, yacon syrup, raw yacon semi-dried slices, yacon chips. 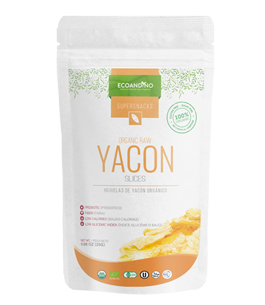 Everybody loves Ecoandino’s yacon! 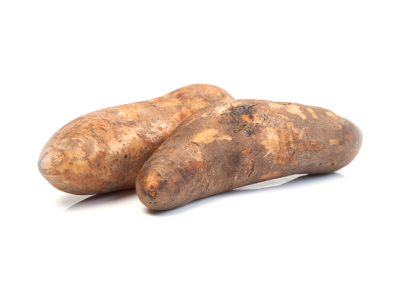 Yacon is an ancestral tuber with a sweet taste from sugars, especially fructooligosaccharides (FOS). It is a prebiotic, is low in calories and ideal for good health care. The health benefits of yacon include its ability to regulate blood sugar levels, monitor cholesterol and aid in weight loss, among others. It is a low glycemic sweetener perfect for a healthy life style! Some recommended uses of yacon syrup are direct consumption or as an ingredient in salad dressing, bakery, desserts and pastries. As a low glycemic sweetener in smoothies, beverages, chocolate, energy bars, among others. 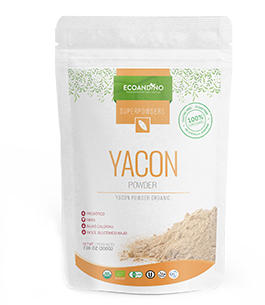 You can also use yacon powder adding a serving to milk, oatmeal, juices, smoothies, yogurt or in the preparation of desserts. 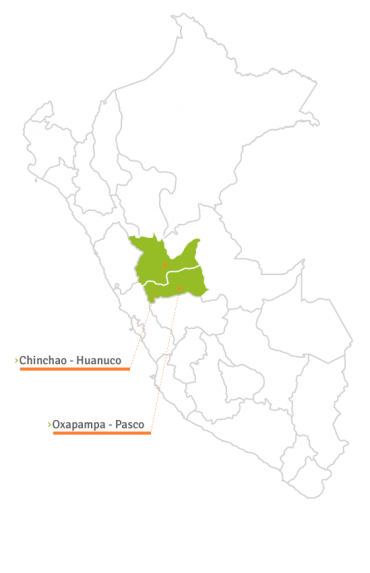 Our yacon roots are one of the best thanks to our small farmers associated in Oxapampa – Pasco and Chinchao – Huanuco, Peru. Farmers harvest the crop under the organic production system.